On Syria: Thank you, Russia! 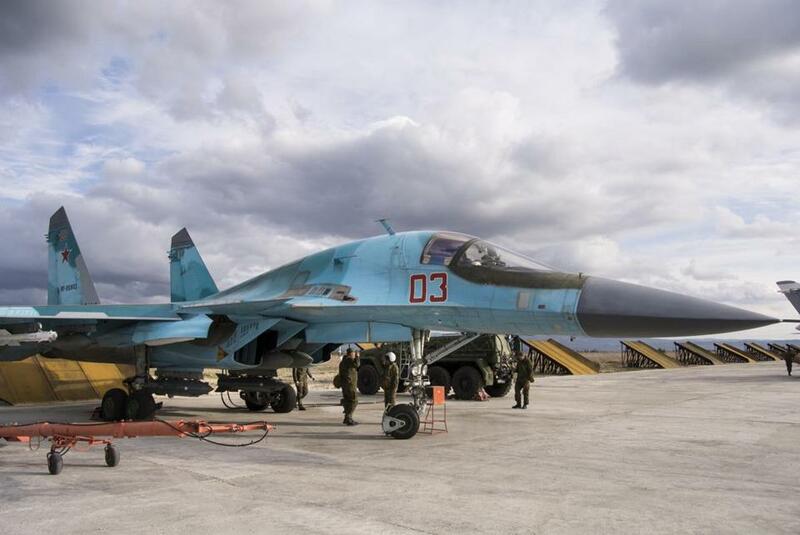 A Russian Su-34 bomber prepared for a combat mission over Syria on Jan. 20. Russian warplanes have flown over 5,700 combat missions sinceSeptember 2015. Once again, Moscow has shown itself better able to make strategic choices than we are. Russia is not an ideal partner for the United States, but sometimes its interests align with ours. In those cases, we should drop our Cold War hostility and work with Russia. The best place to start is Syria. American policy toward Syria was misbegotten from the start of the current conflict five years ago. By immediately adopting the hardest possible line—“Assad must go”—we removed any incentive for opposition groups to negotiate for peaceful change. That helped propel Syria into its bloody nightmare. Russia, which has suffered repeated terror attacks from Islamic fanatics, is threatened by the chaos and ungoverned space that now defines Syria. So are we. Russia’s policy should be ours: prevent the fall of Bashar al-Assad’s government, craft a new regime that would include Assad or his supporters, and then work for a cease-fire. The fall of Assad would create a catastrophic power vacuum like those that have turned Iraq and Libya into terrorist havens. This would be bad for the United States, and even worse for Russia and Iran. We should recognize this common interest, and work with countries that want what we want. This may seem eminently logical, but the very suggestion is hateful in Washington. It violates a central precept of the liberal/conservative, Republican-Democrat foreign policy consensus: Russia is our eternal enemy, so anything that promotes Russia’s interests automatically undermines ours — and that goes double for Iran. Instead of clinging to this dangerously outdated with-us-or-against-us mantra, we should realize that countries with which we differ in some areas can be our partner in others. Russia is an ideal example. Does peace in Syria stand a chance? Ending civil wars can be a long and messy process. We would have been more secure as a nation, and might have contributed to a more stable world, if we had followed Russia’s foreign policy lead in the past. The government Moscow supported in Afghanistan, run by Mohammad Najibullah from 1987-92, was more honest and progressive than any that has ruled Afghanistan since American-backed forces deposed Najibullah. Later, Russia urged the United States not to invade Iraq and overthrow Saddam Hussein. They were right both times, and we were wrong. In Syria, Russia is right for a third time. Keeping the odious Assad in power, at least for the moment, best serves American interests. The alternative could be an ISIS “caliphate” stretching from the Mediterranean to the Tigris River. No military solution is possible in Syria. Continued fighting only adds to the toll of death and horror. Russia wants a negotiated settlement. We are reluctant, because our so-called friends in the region want to keep fighting. They calculate continuing war to be in their interest. It may be — but it is not in the interest of the United States. 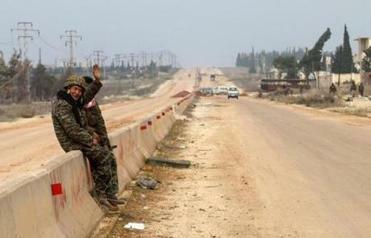 Opposition groups in Syria that we have half-heartedly supported refuse to negotiate until a cease-fire is in place. By accepting that formula, the United States guarantees continued war. Instead, negotiations should be aimed at creating a new regime that both Russia and the United States could support. From there, peace can grow. How long Assad remains in power is not crucial to the United States. Weakening ISIS and al Qaeda is. Fighting those forces is the policy of Russia and Iran. We should recognize this confluence of interests, and work with every country or faction that shares our goals in Syria. Our reflexive rejection of all cooperation with Russia is a throwback to a vanished era. It prevents us from taking decisive steps to ease the crisis in Syria. Its effects are also being felt in Europe. The Obama administration recently announced a four-fold increase in spending for troop deployments near Russia. Russia responded with military maneuvers near its border with Ukraine. This spiral of tension ignores the reality that Europe can never be truly secure without Russian cooperation. Refusing to work with Russia hurts us more than it hurts Russia. Seeking avenues of cooperation would benefit both, and contribute to global security. Syria is the best place to start. Russia’s strategy — fight ISIS and al Qaeda, defend Assad, and seek a cease-fire that preserves his regime in some form — is the least bad option. Until we accept it, Syrian blood will continue to flow.